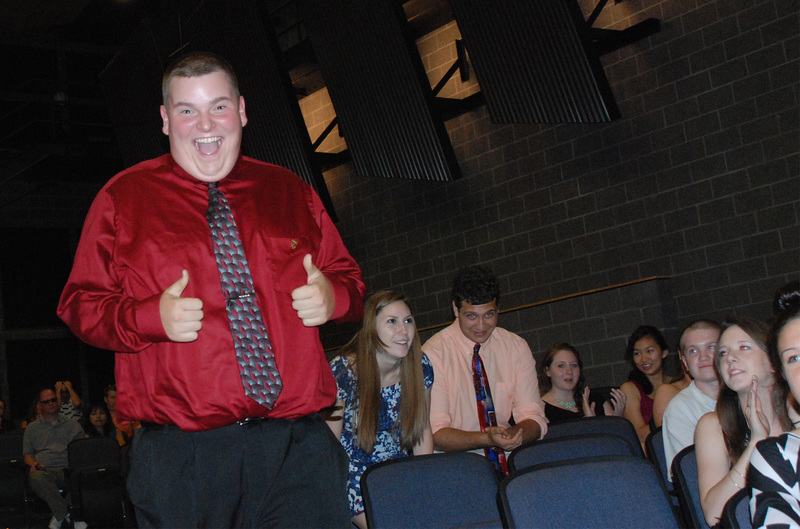 The Senior Banquet and Academic Awards Night was held on Thursday, May 30 in the cafeteria and auditorium. Many students were honored for their outstanding achievements in their classrooms throughout the year! Check out our photo gallery with photos of all the award winners and thanks to senior Molly Hurley for taking these great photos for the Veritas!!! 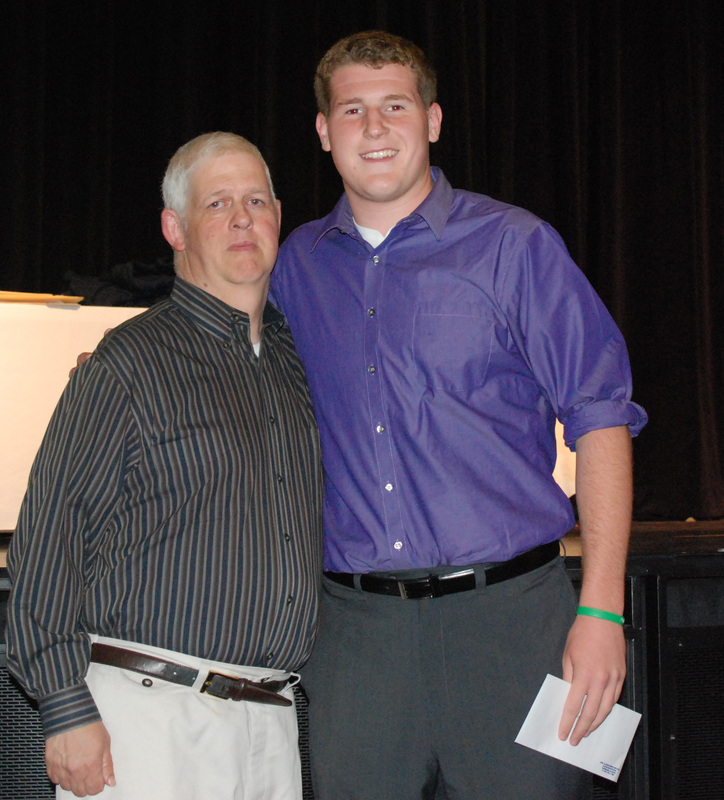 Matt Anzalone received the “Jimbo” $500 Scholarship from Jimmy Cahill, Rockland High’s biggest fan and supporter. Ms. Walsh was presented with a yearbook in honor of having the yearbook dedicated to her. Leah O’Bryan presents yearbook to Ms. Walsh. Click on this photo to go to our Senior Memories Collage in Photo Galleries! As May 31st comes closer and closer to us all, the senior class prepares themselves to leave Rockland High School for the last time. May 22nd marked the last day of academics for the soon-to-be-graduates but for the next two days, the seniors will participate in mandatory “senior issues” which include ballroom dancing, CPR training,informational meetings etc. 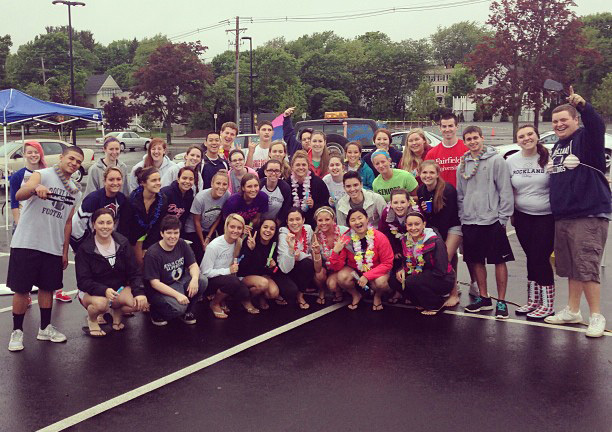 Seniors begin their last day with a tailgate breakfast! Following senior issues comes senior week. Senior week for most contains the most nostalgia, the most fun, and usually the most tears. The week of the 31st holds events like Senior Prom, the Senior Banquet, and Graduation Night. Time is truly flying by for these students! Congratulations Class of 2013! Images Magazine sold out on the day it arrived from the printer! “I have found that the best poetry comes from the unlikeliest of sources,” said RHS English teacher Mr. Neal. This year, Images magazine, a publication dedicated to revealing the artistic voices of the student body, has been revamped by its newest advisor, Mr. Neal himself. The magazine used to be published periodically in black and white and occasional color print editions, but now is published on the internet, in a page linked with The Veritas’s website. The new method of publication allows for more color representation, which is an important aspect of some of the artistic features and also provides easier access for students to see the various pieces. “My hope is that a more regularly updated and viewed selection of student art and writing might inspire more voices to put themselves out there,” he explained. Seven students make up the Images staff but the entire student body takes part, as many kids who do not hold a particular role in the magazine submit pieces for publication. Emily Williams, a junior who has submitted several photos and short stories to Images this year, loves being involved in the magazine. Submitting personal work can be exhilarating, as Emily described, but many students are tentative to share their creativity. Currently, Images staff is trying to post as frequently as possible, to show kids their work doesn’t have to appear professional to be appreciated. Art, whether it be poetry, story-telling, or painting, is a great way to express some of the feelings teens cannot put into words. Images is the perfect outlet for teen angst and creativity to come out and Mr. Neal has done a brilliant job of showcasing some of the talent and expression of RHS students this year. Senior Award Winners 2012-2013. Click on photo to go to Photo Gallery with pictures of some of the individuals and their coaches. 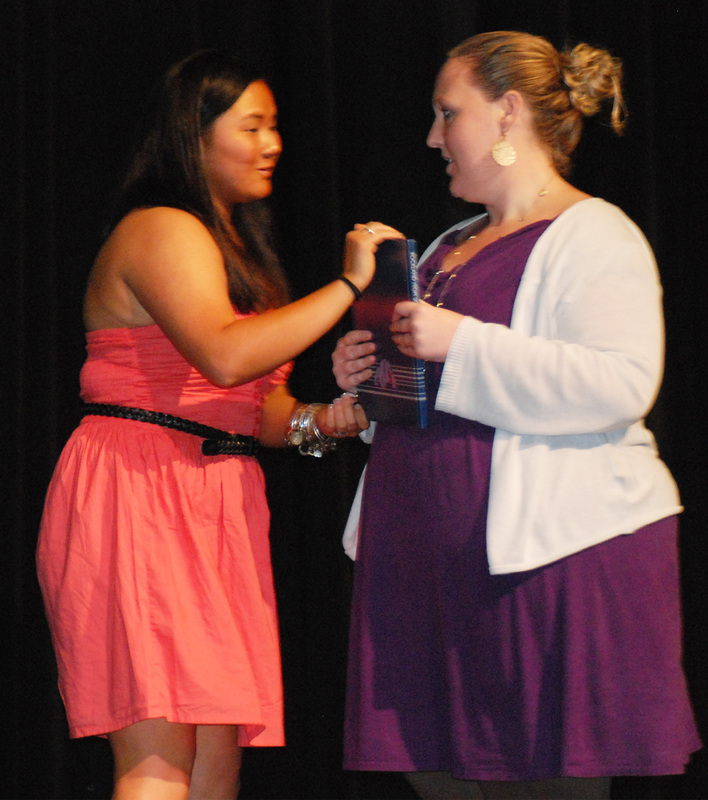 On Monday night, May 20th, the Athletic Department held its annual Senior Athletic Awards Night in the auditorium. The following were winners of Senior Awards. Congratulations! 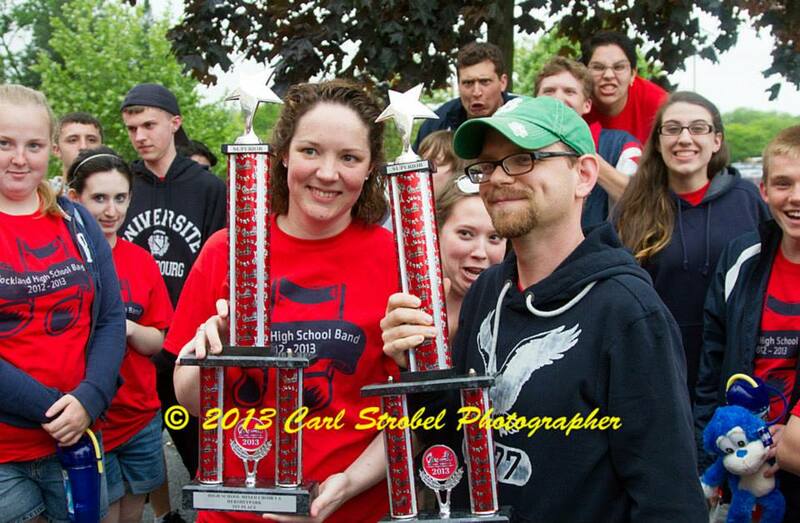 Band and Chorus judged superior! Last weekend the RHS Band and Chorus traveled to Hershey Park Pennsylvania to compete in a program called Music in the Parks. Under the direction of Ms. Hartnett and Mr. Harden, the band and chorus did very well, both placing first among 25 bands and choral groups and receiving a rating of superior from judges. Congratulations to all the band and chorus students and to Ms. Hartnett and Mr. Harden. You’ve made RHS proud!! 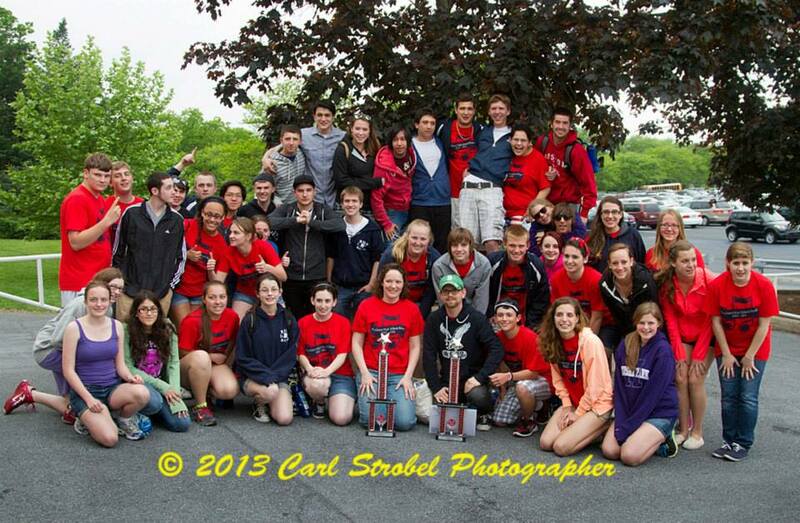 The band and chorus from RHS received trophies for first place at Hershey Park in PA.
Veritas reporters Joe Rizzotto and Georgia Panagiotidis contributed to this report. In an announcement this afternoon, RHS principal Alan Cron, confirmed that the Class of 2013 would have two valedictorians this year! They are Christopher James Carchedi and Joseph Buckley Palana. In addition to their academic success, both young men participate in many clubs and activities at RHS. Carchedi and Palana are both members of the Theater Guild. Palana also plays in the band and the jazz band and runs for the cross country team. 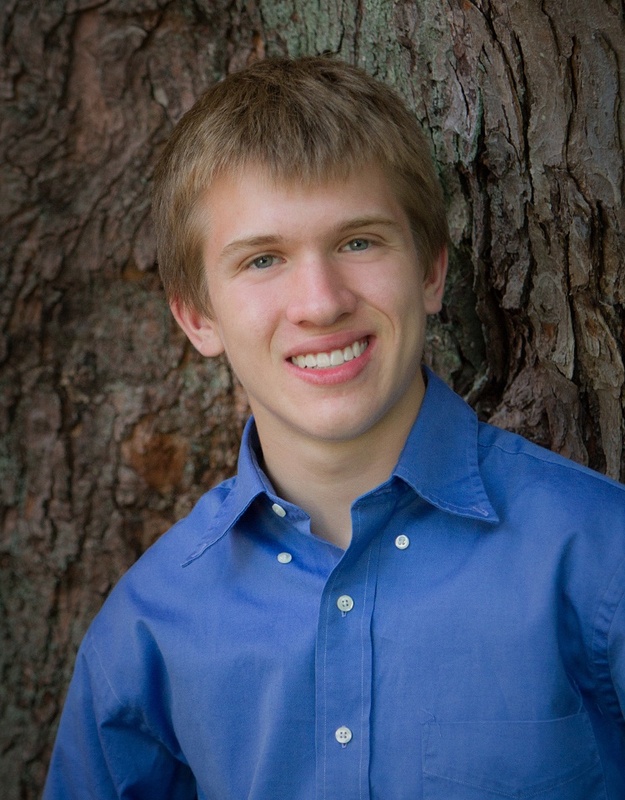 He participates on the math team and the mock trial team. Carchedi plays hockey and is President of the SGC. He also is a member of the RHS band. He made it all the way to the State Finals in the Poetry Out Loud competition this year. Palana and Carchedi also participated in the Mr. Rockland competition and the Spellman Oratorical Contest this year and are members of the National Honor Society at RHS. Both scholars were accepted to Harvard University; Palana will attend Harvard and major in Biology or Psychology. 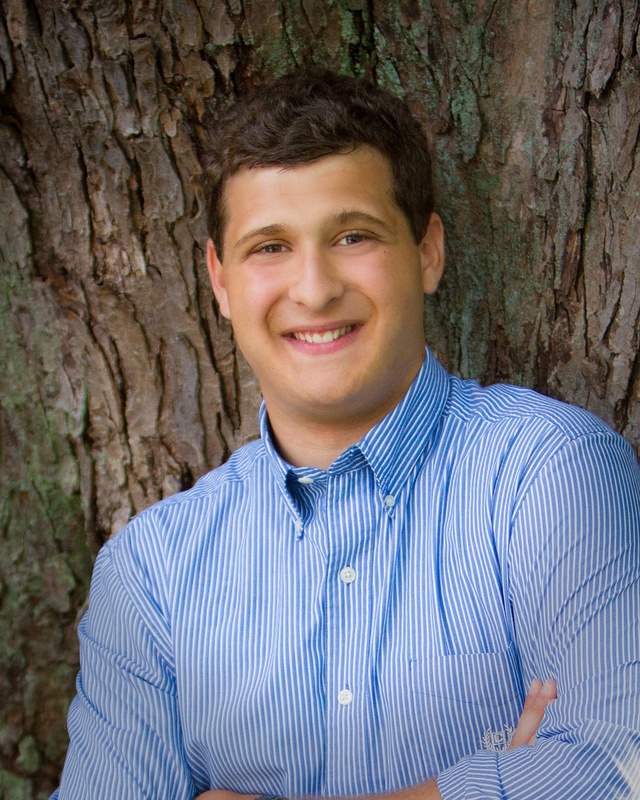 Carchedi was also accepted to Brown University where he will major in Geology. Congratulations to Chris and Joe!